Oh, they're doing it again? I can't miss it again this year! 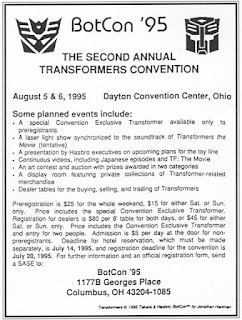 BotCon '95 in order to get the reduced room rate. $64 per night, single or double room (up to 4 people per room), plus 12.5% tax. 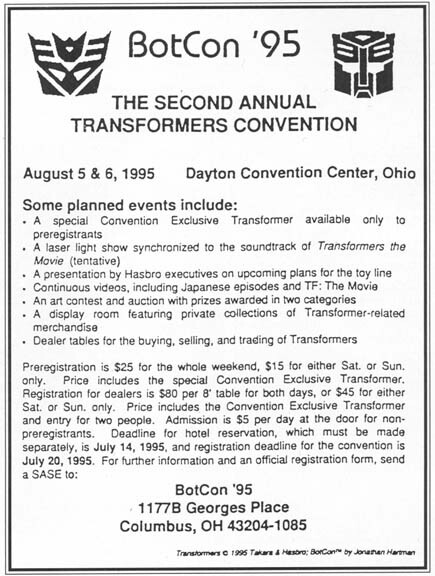 BotCon in order to get the reduced rate.Registration deadline is July 20, 1995. *note* I had so much fun doing this last week, I thought I'd do it again. Not sure how many of these I plan to do, but for the moment I'm having fun. I pulled this from this old usenet post.